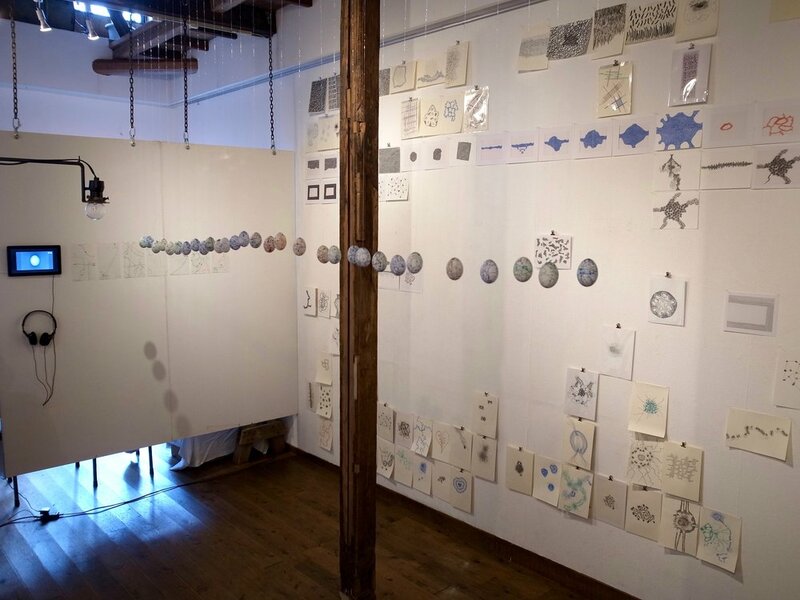 For the exhibition “My Everyday Life” at hasu no hana, artist/scientist Arthur Huang will display aspects of his studio practice, artistic activities and everyday life to provide insights into the way he navigates the different aspects of his life. The core of this exhibition will the Daily Drawing Project which he began in 2015. All of his 2016 Daily Drawings will be displayed in chronological order. His rate of success or failure in making daily drawings is often influenced by other studio activities and the ups and downs of daily life. Days where drawings were not made, he will share other inspirations that inform his artistic practice. While the Daily Drawing and Memory Walks Project may seem like disparate studio practices, both are linked to the routine of everyday life. A site specific iteration of his Memory Walks Project will also be installed to create a dialogue between these two practices for himself and the viewer to discover possible connections and potential new directions for both projects. “My Everyday Life" is a opportunity for Huang to step back from his daily activities and studio practices to see where he has been, where he is and hopefully offer some glimpses into where he might go. For viewers of this exhibition at hasu no hana, it gives a peek into Arthur Huang’s creative process and to see how one artist manages the responsibilities of work, daily life and studio practice to express the ideas in his projects.